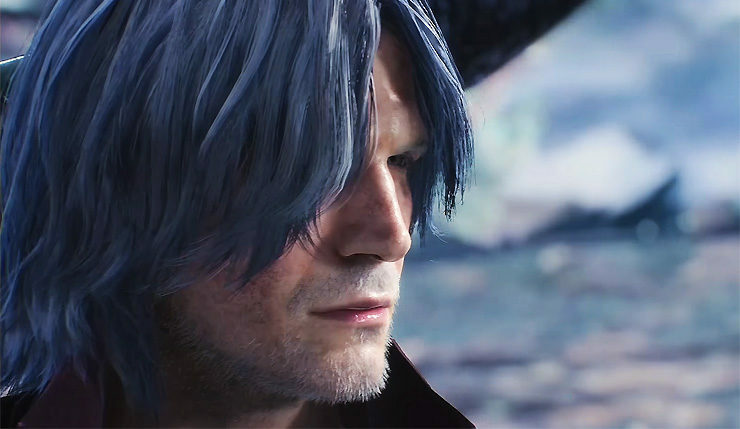 Capcom just unleashed an all-new Devil May Cry 5 trailer during Microsoft’s packed Inside Xbox Gamescom 2018 livestream, and fans are definitely going to want to drop what they’re doing and give it a look. While Devil May Cry 5’s E3 debut trailer was mostly cinematics, this one goes heavy on actual gameplay footage, showing Nero talking on a variety of huge, terrifying bosses. We also see a brief glimpse of Dante in action. Check out the trailer, below. During the live stream, Devil May 5 producer Matt Walker and director Hideaki Itsuno detailed the game’s new game’s new Devil Breaker system. Devil Breakers are a series of interchangeable arms, which grant Nero a variety of powerful attacks and abilities. Using the proper Breaker for each challenge will be essential, and there’s also risk-reward system in place – overuse a Devil Breaker and it will live up to it’s name and break, so you can’t spam them. That said, sometimes you’ll have to intentionally break them, as destroying a Breaker is the only way to switch to a new one. The first arm Nico makes for Nero, the Overture Devil Breaker, looks plain in style allowing Nero to wear it inconspicuously throughout the city, but the hidden electric generator inside is enough to shock any demons that come too close. Adding a bit more versatility, the Gerbera Devil Breaker generates an intense heat that can be shot out as a highly powerful shockwave which can be used as a direct attack, reflect enemy projectiles, or even to propel Nero through the air and augment his evasion capabilities. Capcom also announced Devil May Cry 5 is coming sooner than you might expect – the game will hit PC, Xbox One, and PS4 on March 8, 2018.